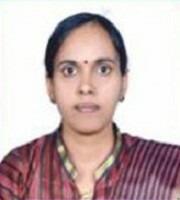 Dr. Dhishna Pannikot is a scholar and academician working at National Institute of Technology Karnataka as an Assistant Professor (English) in the School of Management. Her areas of specialization include English language and communication skills, and comparative literature. She had contributed many research articles on various aspects of language and literature that were published in various Journals and books of repute by national and international publishers. She is also an evolving creative writer with contributions to English short stories and poems.